Looking for a variety of the best, free crochet patterns? This week’s round up from the link party has a good variety of free crochet patterns ranging from amigurumi to blankets! I’m really excited about this week’s Top 5 Best Free Crochet patterns! I’m loving all the colors, textures, and creativity in these free crochet patterns! Find all the links below. Keep Scrolling for more free patterns! 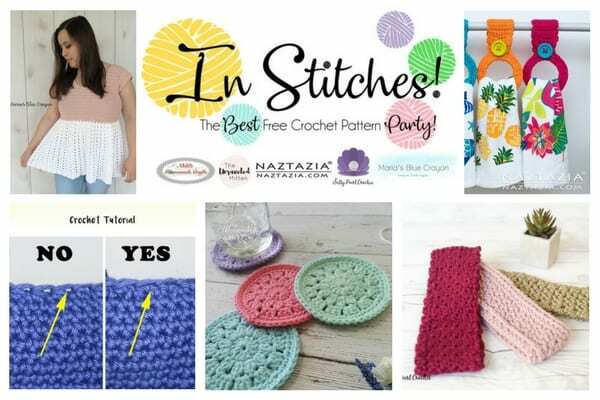 Find more free crochet patterns in past week’s link up parties here! 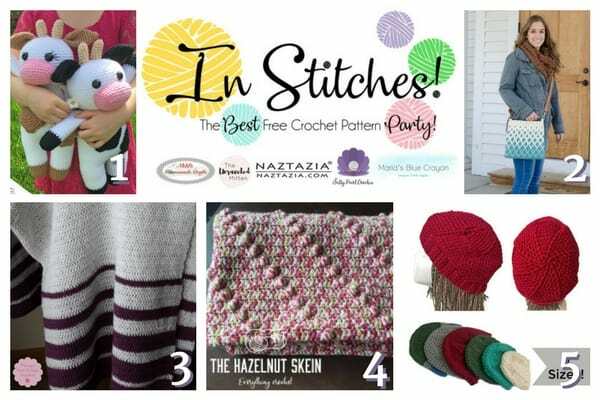 I am hosting this link up party right here on Maria’s Blue Crayon, as well as on, Nicki’s Handmade Crafts, Naztazia, Salty Pearl Crochet and The Unraveled Mitten. We are really excited to start this link up party and hope you join along! Find our most recent free crochet patterns on our blogs!